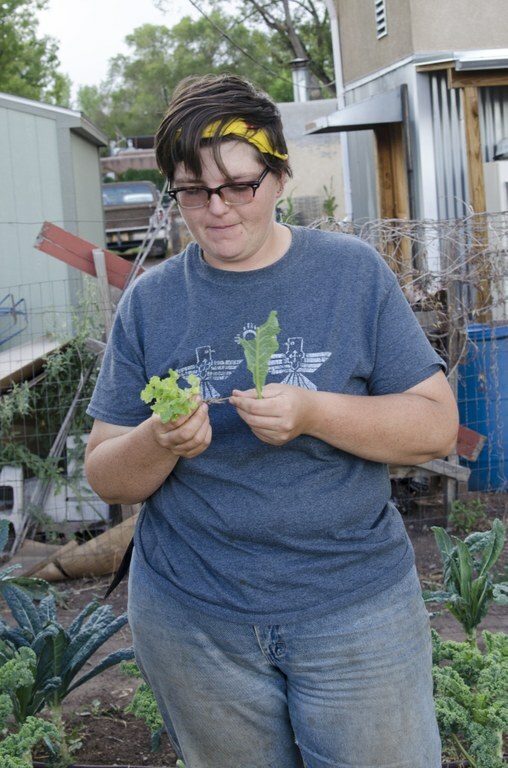 Casey Holland didn’t decide to pursue a farming career until she started an internship with a food justice organization during her last year at the University of New Mexico. After graduating in 2012, she hopped around local farms, apprenticing until she found a home on Red Tractor Farm, a small vegetable spread in the South Valley of Albuquerque. Today, Holland wants to buy land in Albuquerque and run her own farm. But that goal feels like a pipe dream. Because of her high student loan debt, she lacks sufficient credit to even think about buying land or starting a business. When she asked for a loan to launch her own farming operation, she received an immediate “no” from the bank before she could finish her pitch. The U.S. is in desperate need of young, ambitious farmers like Holland. The average age of an American farmer is 58, and only 6 percent are under the age of 35. The incoming agricultural workforce isn’t even coming close to replacing the aging one. And losing independent farms has consequences: When large corporations buy up arable land, rural and low-income communities can lose access to local food, and consumers grow increasingly distant from the produce on their table. That transition has already begun: According to the National Young Farmers Coalition, a nonprofit that connects young farmers across the country, the number of beginning farmers fell by 20 percent between 2007 and 2012. One of the biggest reasons is because new farmers can’t afford it or receive a loan. A young farmer works in the field. To develop the next generation of producers, the Young Farmers Coalition is now pushing Congress and individual state legislatures to take a big step: forgiving farmers’ student loans. Their hope is that loan forgiveness will help farming become a more viable option to career option for college students, and benefit farmers in areas where attending college may have previously been financially prohibitive. After setting up relatively successful loan forgiveness programs in New York and Wisconsin, the coalition is now campaigning in Western states such as New Mexico. The coalition’s goal is to add farmers to the Public Service Loan Forgiveness Program, a federal initiative launched in 2007 that incentivizes students to enter professions that provide a public good but do not pay enough to manage student loan debt. Qualifying professions include teachers, nurses, doctors, public interest attorneys, government employees, and nonprofit workers. After repaying what they can afford for 10 years, their federal student loan balance is forgiven. Eric Hansen, policy analyst for the coalition, says including farmers on the public service list is important because the challenges of their profession often make it difficult to repay loans. Farmers depend on credit to get started and purchase land, livestock, and equipment like tractors and greenhouses. The average annual income from agriculture for beginning farmers is just over $2,000, according to the Department of Agriculture, although new farmers also make more money from other sources of revenue. Meanwhile, the average cost of land is around $3,000 per acre. Those difficult dynamics helped make the case in New York, which started a program to forgive new farmers’ loans in 2014. The state’s Young Farmers Student Loan Forgiveness Incentive Program offers recent state school graduates grants of up to $50,000 if they farm for at least five years. Casey Holland works on Red Tractor Farm. However, such programs face many limitations, particularly lack of funding. McQueen says the bill will stall because New Mexico won’t secure funding for at least a year or two for any sort of loan forgiveness program. It’s just not high on the priority list for the state. If it does get through, McQueen also wants to offer loan forgiveness options for New Mexico students who attend community colleges or technical schools rather than a four-year university, opening the door for more applicants. Another obstacle is the paucity of data on how young farmers impact agricultural economies, which makes it harder to convince state legislatures and Congress of the merits of paying back student debt. Hansen often receives pushback on the importance and popularity of farming. It raises a perturbing question with no easy answers: Is farming truly a public service career? And if so, what other low-earning careers might be added to the list?